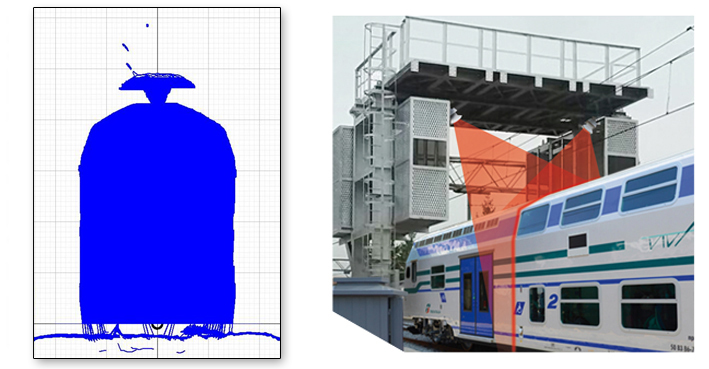 The trains diagnostic portal permits with one solution to check any train passing through it. 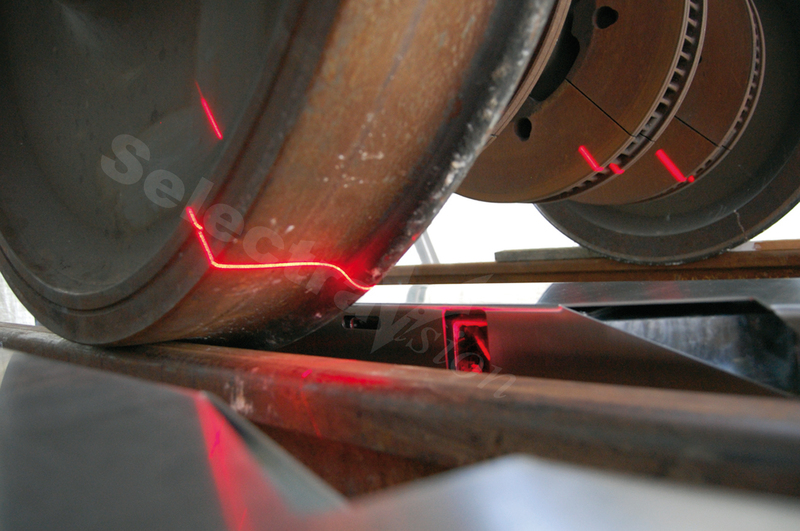 The train wheel measuring system checks the profile of the train wheels in order to prevent train derailment. 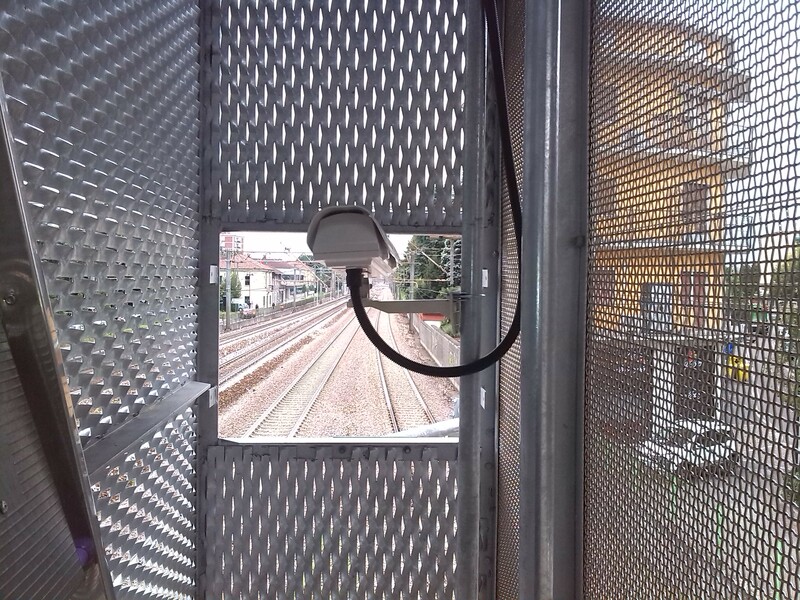 The system is able to measure the profile of each passing wheel at very high speed and with an accuracy of 0.5 mm. 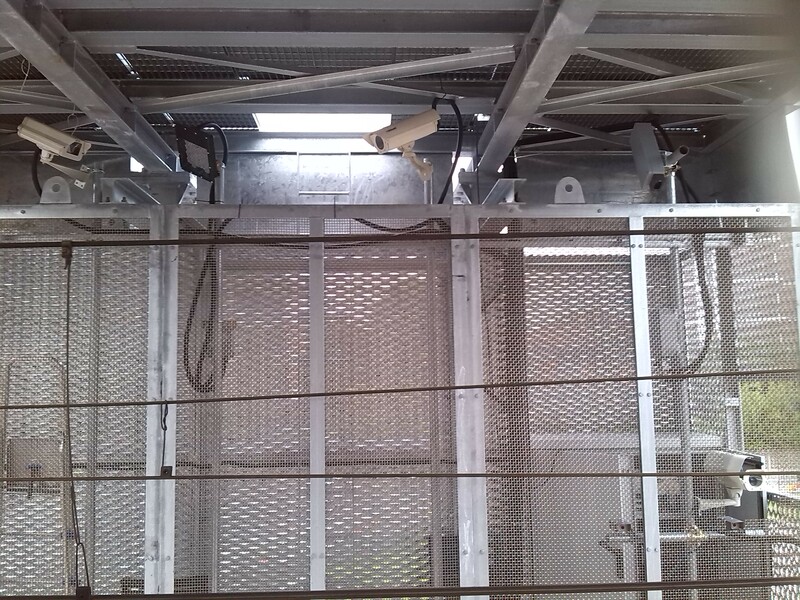 It is currently working from 0 to 150 km/h. For more information, please visit the page Wheels. 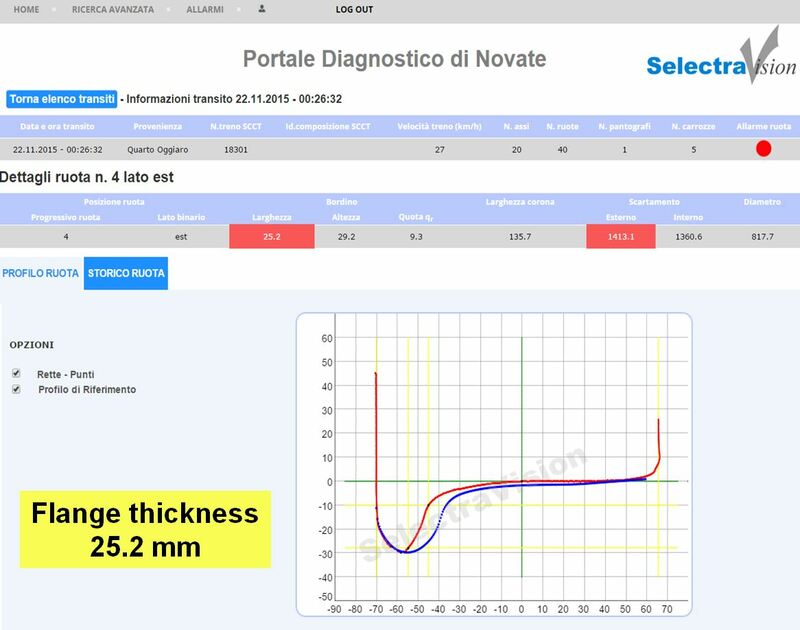 In the figure below there is an example of the web user interface used for shown grafically the measured wheel profile and the relative wheel measured parameters. 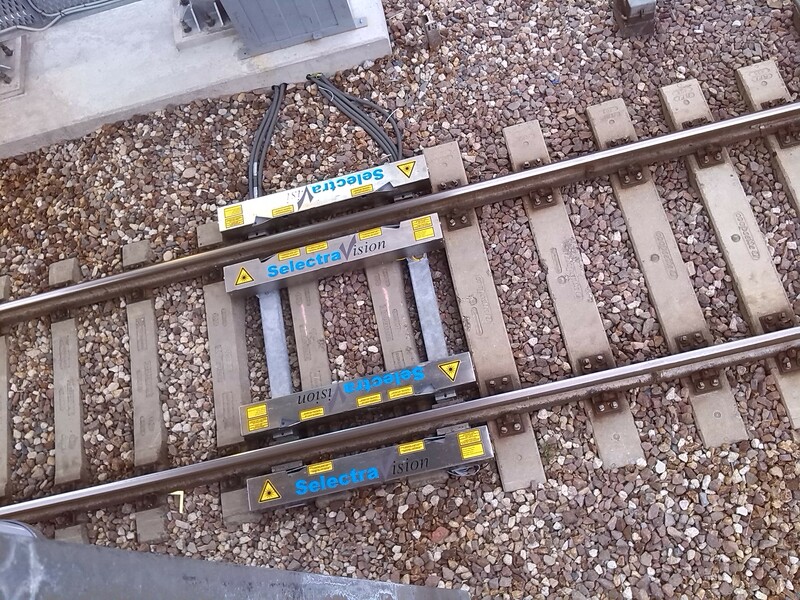 The pantographs diagnostics system , PantoCheck, automatically detects all pantographs passing through the detection site, prevents pantograph faults and consequent damages on the overhead line. 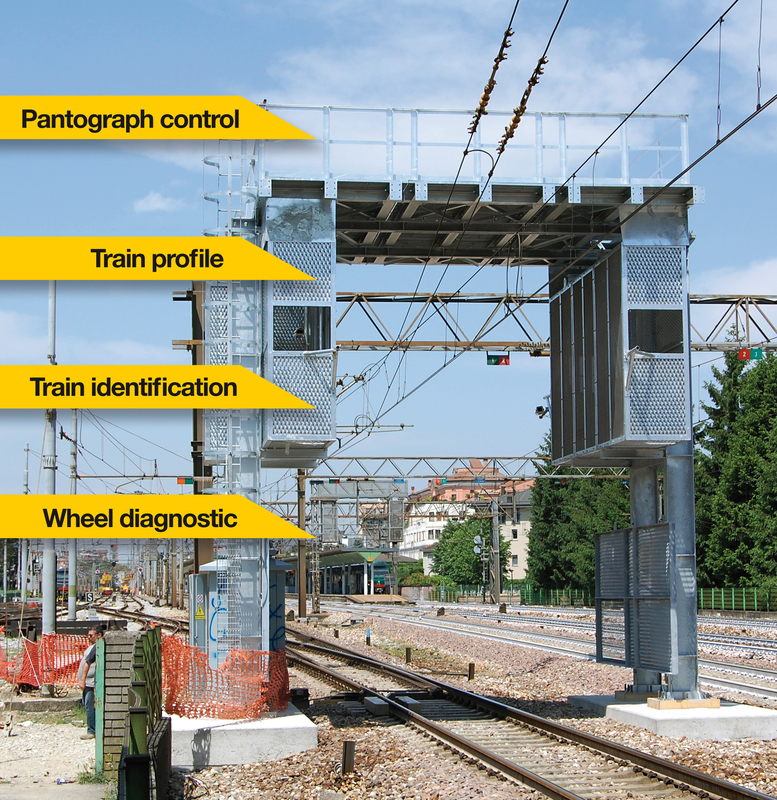 The pantograph measuring system is composed by high speed cameras / lasers and it is installed on trackside. 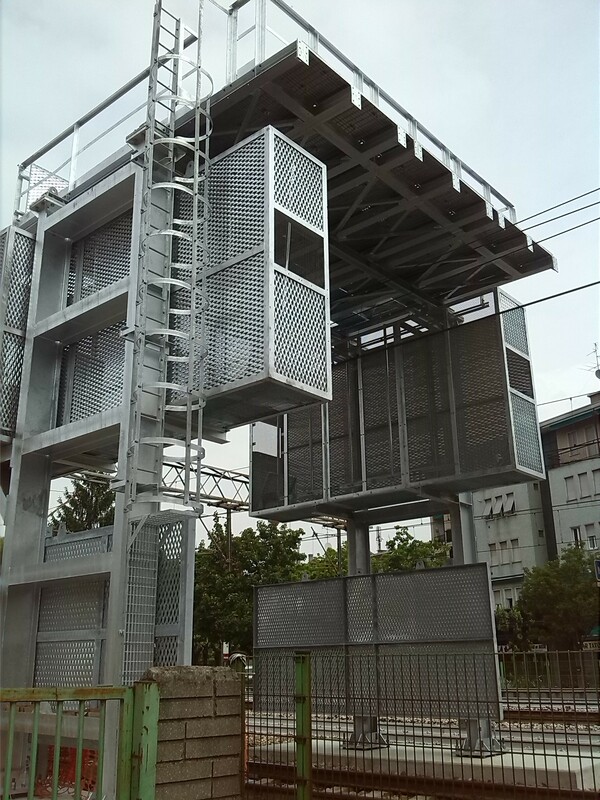 For more information, please visit the page Pantographs.